Hotel Romagna was fabulous. The guy at the reception was super helpful and gave me tons of restaurant recommendations. The breakfast was great and had so many pastries. The room was clean and the wifi was good too. The hotel is super close to the cathedral and pretty much everything else in the city center. The room was really good, just a little bit noisy at night and the bathroom was small. No lift and we were at the 4th floor. The breakfast was amazing and the staffs were really helpful. Definitely for what you Pay is Worth it, very Close to the best part of Florence. The rooms were too small and there wasn't an elevator, so keep that in mind. We had a very pleasant stay at Hotel Romagna. 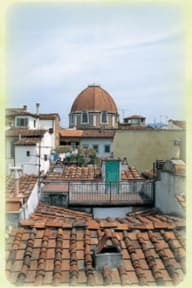 Great location, very friendly and helpful staff, very decent room and breakfast for the value, considering the average accommodation prices in Florence. Would definitely stay again. Great stay at this hostel. Very close to the train station and close to many landmarks. The staff is at the counter 24/7 and was extremely helpful and friendly. Gave us recommendations for dining and provided maps and routes. We arrived early morning before check-in time and were able to store our luggage for the day. Even let us store luggage for the day after we had checked out. Pretty decent breakfast too. Only downside was we were on 5th floor and there is no elevator. 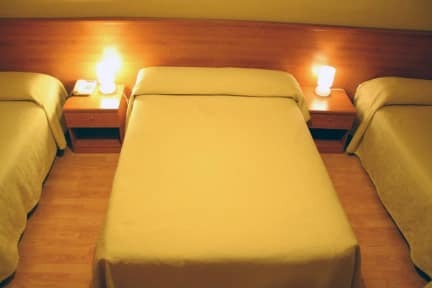 Nice basic rooms with the essentials. Very close to the train station and duemo. Can walk everywhere from there just have to expect to walk a few miles a day which is faster than taxi. Great Location. Staff were excellent. Very friendly and helpful. Only draw back was the stairs for me as I have issues with my back and legs and room was on the 5th floor. No elevator but the staff offered to help to carry my bags up for me so I could take my time. Breakfast could be enhanced to include a bit more than they offer. Cold cuts and cheese would have been a welcomed addition. The bathrooms are quite narrow but I understand the design and was happy to have a private one. This was a nice little hotel in the middle of florence. Very convenient to get to both city sites and tge main train station. Their free breakfast isn't luxurious but it's free and will fill you up. The staff was all pretty friendly and my room was clean. Overall nice stay! Breakfast was good and plenty, the guy at the reception was nice, the room was a bit expensive, but all Italy is! I have stayed in a lot of great hostels and of all the places I have stayed this has probably been the least memorable. Not as centrally located as I had anticipated, this hotel reminded me of a good old motel 6 in the states. Definitely not worth the amount of money I paid for sure.